Sounds delicious! I do love a good Sauvignon Blanc. 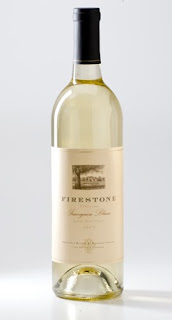 We were close to Firestone, or at least in the area, while we were in CA a few weeks ago. Perhaps we'll go there the next time. I just saw this on clearance at my local Vons and passed it up for a clearance NZ (Wild Rock--I like their pinot). Guess I'll go back over there! Are you doing WBW? which winery will you hit?